If you want to enjoy sightseeing , we recommend you to use a taxi. That way , you can save time and see more temples and shrines than with other transportations. Although we offer services mainly in Kyoto and Nara, we can take you to Mt. Fuji if you wish.. You will need to stay overnight because Mt. Fuji is far from Kyoto. The taxi fare is designated by the Ministry of Land , Infrastructure and Transport. It is easy to go from one ｓpot to another . 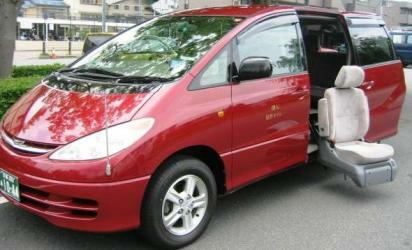 Our taxi drivers are experienced drivers and guides in Kyoto. You have a chance to go to interesting lesser known spots as well. If you wish a licensed interpreter can help you. If you tell us the places you want to visit, we will make a course to fulfill your plans. If you tell us when and which places you want to visit ,we will arrange a specialized course according to the seasonand your wishes.